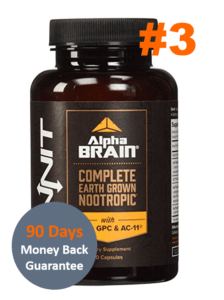 It’s no surprise that more and more supplement companies are coming out with brain enhancing products. As we age (and as the Internet is beginning to rule our lives), our cognition declines in terms of focus, memory and even learning. 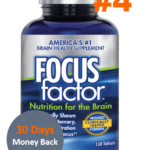 BioGreen Labs has released a dietary supplement called Memory & Focus that aims to improve on exactly those two things. 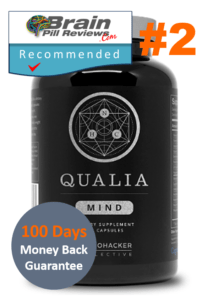 This everyday booster has a formula similar to most supplements that we’ve come across, so we wonder whether they can actually be head and shoulders above the rest of the products on our shelf. Hopefully all the questions you have concerning this product will be answered by the end of this review. Let’s get started. 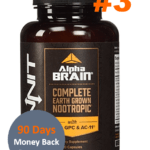 BioGreen Labs create their products in a certified U.S. facility and they are confident of their use of high quality ingredients so each customer has access to a 100% money-back guarantee should they feel unimpressed. BioGreen Labs also claims that they do not use any fillers or additives in their products, which tells us that they’ve paid attention to the ingredients of their supplements. 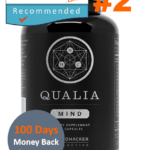 So what’s exactly in this ‘advanced formula’? 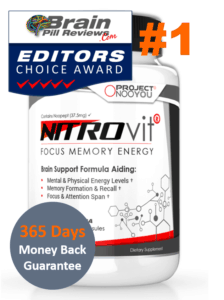 Each Memory & Focus serving has the following active ingredients – Ginkgo Biloba, Phosphatidylserine, N-Acetyl-L Carnitine HCI, St. John’s Wort, L-Glutamine, DMAE, Bacopa Monniera, Vinpocetine and Huperzine A. Only 9 ingredients packed into each capsule which is not too bad at all. Keep in mind that more often than not, we like it when supplement companies keep things simple. When you start to include over 30-40 ingredients then we have a problem. This means that you’re not giving each substance enough space to actually work their magic. Our favorites from the list include Ginkgo Biloba, Vinpocetine, Huperzine A and NALT (N-Acetyl-L Carnitine HCI). Ginkgo is a compound that your grandma might actually be familiar with – this olden day herb has come into the spotlight over the past few years as a brain enhancer. It works by increasing blood flow throughout the body. Once it reaches the brain that means you may experience higher levels of focus and concentration. 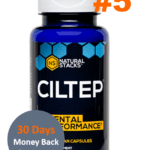 Vinpocetine also stimulates blood flow on top of being able to regulate levels of acetylcholine neurotransmitters in the brain. 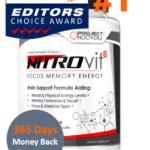 As one of our top rated supplements, Vinpocetine has never failed to improve focus and memory. Huperzine A has protective properties so a lot of customers use it to prevent memory loss. Although, you should know that there isn’t enough evidence to prove this. Lastly we have NALT, which can reduce anxiety levels and promote overall mood. NALT is great to take on an everyday basis, especially if you live a more demanding lifestyle. 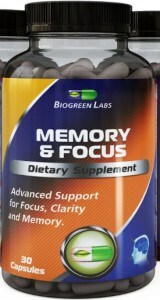 Memory & Focus by BioGreen Labs is a good choice for those who need to stick to a tight budget. So if you’re behind on rent or are a uni student needing to save up for more books this semester, then Memory & Focus may be a good choice. Memory & Focus’s formula is not something that we’ve gotten over-excited about. But at the same time, it does contain certain ingredients that have been proven to boost cognition. These include Ginkgo Biloba, Vinpocetine and Huperzine A. Based on the reviews that we’ve checked out, it seems like most customers have not had bad reactions after taking the product. With that said, each individual is different so should you encounter any type of side effects, we would recommend for you to see your physician. Set at such a low price, Memory & Focus can be a worthwhile buy. Then again, the formula contains DiMethyl Amino Ethanol. DMAE is known to cause harm in the long-run. Which is why has been banned for use in the U.S., Canada and Australia for its . Therefore, if you need a quick, short-term memory and focus boost for something like an upcoming exam then BioGreen Labs’ Memory & Focus may be worth checking out.